About – MAURICE LEE AND ASSOCIATES LTD.
Maurice Lee & Associates Ltd. (MLAL, formerly Maurice Lee Civil & Structural Engineers) was found in 1987, aims to provide comprehensive architectural and engineering services in various field including Buildings, Civil engineering, Industrial Development and Slope Geotechnical Works. We are proud to cooperate with Government Departments, Multinational Corporations and Private Enterprises to complete nearly 1,000 projects in the past 30 years. Our efforts gained renowned reputation in the industry, especially when involving in works with high complexity. Our practice is fully computerized in drafting, engineering analysis, design and project management. It also implemented a Quality Assurance System which has been certified to ISO9001:2008 by HKAS accredited assessor. 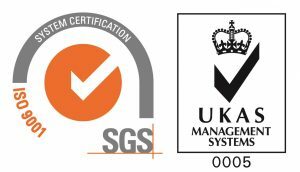 MLAL received Site Safety Supervision Scheme Awards from the Buildings Department in June 1999 for a project of high complexity. In this project, MLAL director and staff acted as AP, RSE and Technically Competent Persons in the above project. processing plant in Tai Po Industrial Estate. international cities and code drafting.